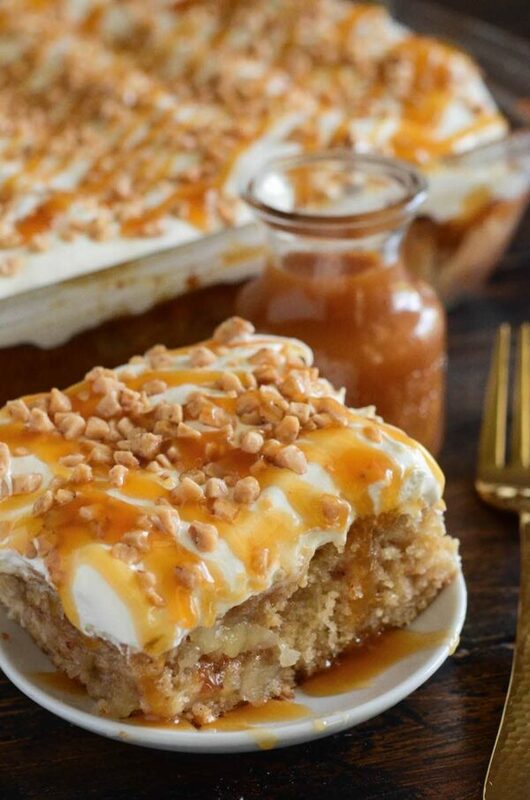 Caramel Apple Toffee Cake: a homemade – from scratch – poke cake is filled with bites of apple, toffee, caramel sauce and topped with sweet whipped cream! 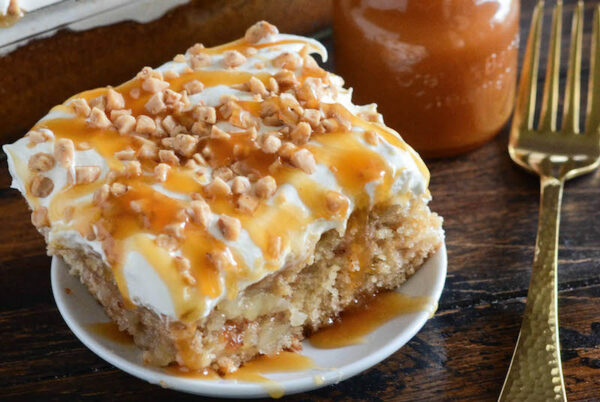 Are you looking at this Caramel Apple Toffee Cake? It is the perfect make ahead Fall dessert. You can easily take it to a party, a potluck or make it a day ahead for Thanksgiving! I wish I could give you each a big bite through the screen, I promise you would be in your kitchen immediately making this cake. It’s so ridiculously and perfectly over the top, but also still SUPER easy to make. You can also make it with a boxed cake mix! I started with cinnamon cake that is from scratch, but also really simple to make. It doesn’t require any beaters or anything crazy – just two bowls and whisk. I used melted butter and oil to make sure it stays super moist. In the center of the cake, is a thick layer of apple pie filling and little toffee bits all mixed together. The toffee bits and apple bites bake right into the cake and creates the perfect texture throughout. 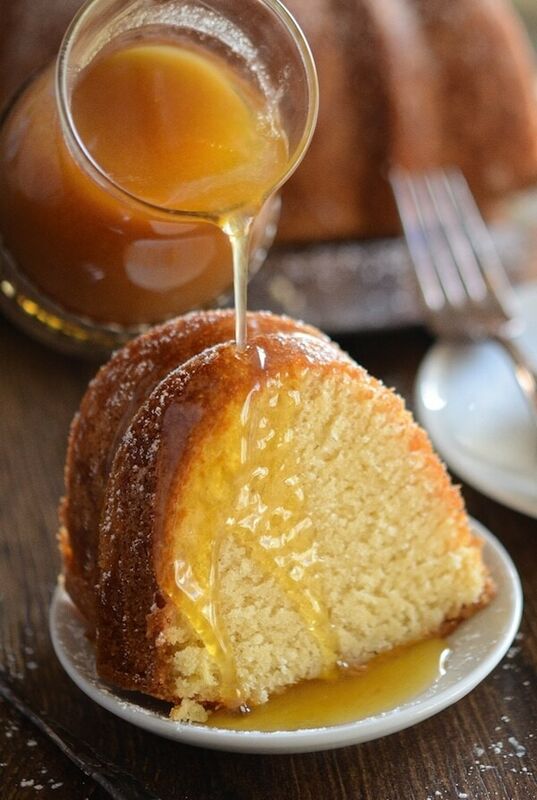 As soon as the cake comes out of the oven, you poke it with a bunch of little holes and drizzle it with caramel sauce. You can make your own homemade caramel sauce or use store bought — either way is delicious and no one will know. 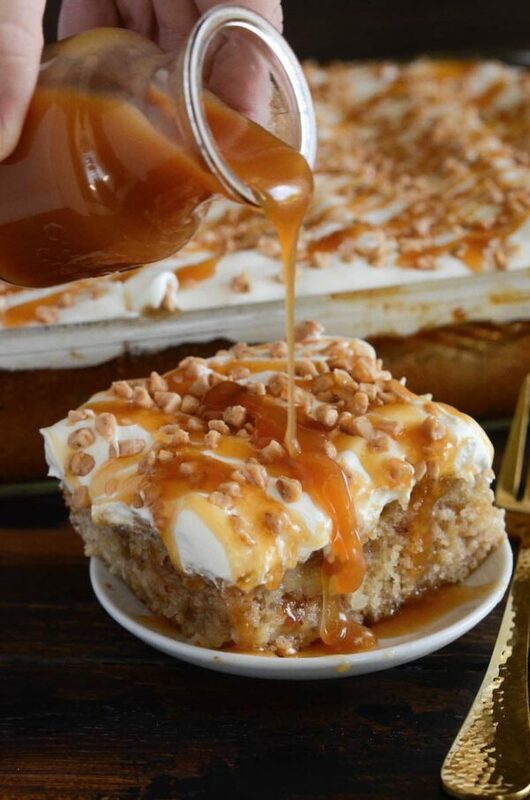 The warm apple spice cake soaks up all that caramel sauce as it cools. This is the hardest part – waiting! The next layer is a thick layer of homemade whipped cream or cool whip – it’s totally up to you. I will warn you, homemade whipped cream does not hold up half as long as cool whip does. So, if you want to use homemade whipped cream, frost the cake when you are ready to serve. If you are using cool whip, you can top it up to a day before and store it in the fridge! 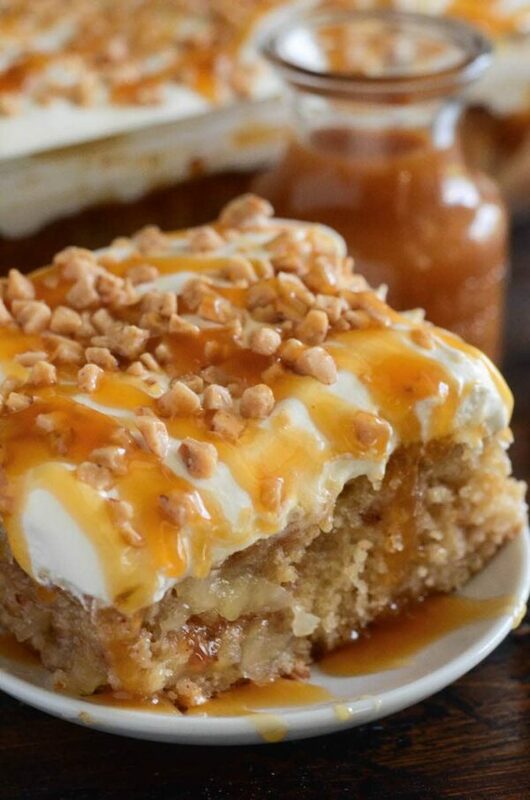 Then we finish off this Caramel Apple Toffee Cake with an extra healthy drizzle of caramel and toffee bites. The little toffee bites on top add a little crunch to each soft cake filled bite. Watch this video below, at least for the first 10 seconds, and try to tell me you aren’t drooling! Head on over to Dixie Crystals for the full recipe that I developed for them! 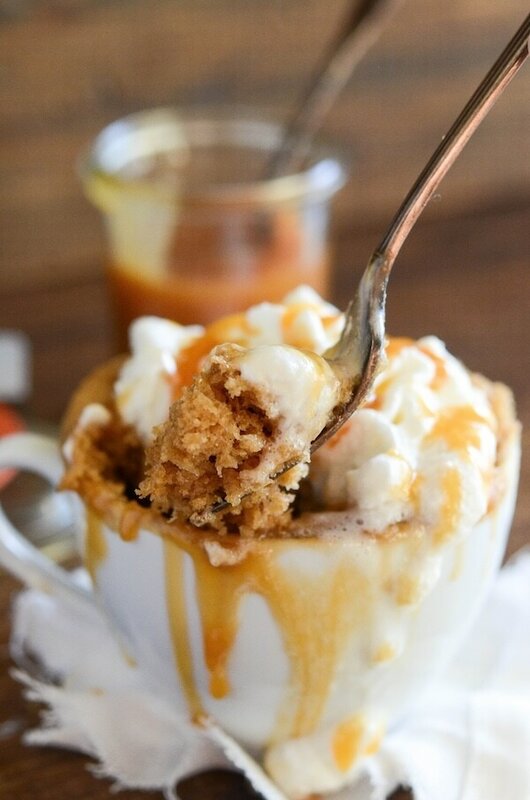 Toffee bits and that caramel sauce… does it get better than that? I wish I could take a bite out of this too! Looks so gooooood!!! I’ll definitely be making this ASAP! Fiquei com água na boca, deve ser muito gostoso, parabéns por mais uma receita saborosa continuem assim. Amei! 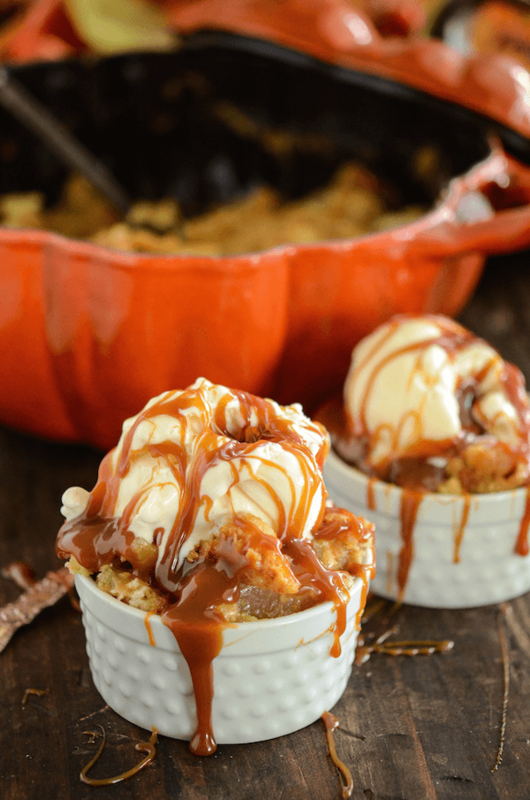 With a name like caramel apple toffee cake, how can you go wrong. It looks fantastic! This cake is just begging to be devoured!!!! Can this be halved? Or frozen? It’s a lot of cake for 1 person. Of course you can half it! I do not think it will freeze well though. Why don’t they let you print the recipe? I can’t even see it besides watching the video. Go to recipe. Right click your mouse. Select print. Then print again at top of left hand column. I’ll try to make this delicious recipe. This is a delicious dessert. I made it last week for a church pot luck! Loved it! Made this yesterday for a family dinner and it is GONE! Everyone has asked me to bring it again for Easter! The link doesn’t work to see recipe. Hi Leah! Sorry about that! Their server was having an issue, but it is back up now!! Enjoy the recipe – it is SO good! I can not access the recipe here even though I am signed up with the novice chef and Dixie crystals. Could you please send it to me. Thank you! There is no way to access the recipe why not just post it here????? I have a hard time getting to your recipes! wheres the recipe? I want to make fun or Easterr! You are a total sucess. Congratz on your post and work. When I go to the recipe it says “Access Denied” every time. If i wanted to make this but use a caramel frosting or icing instead of whipped cream, do u think it would still work out well? Ie. Salted caramel icing, caramel buttercream, etc.